Elegant, timeless, classic design. The pearl stud earrings are handmade using traditional silversmithing techniques in my home studio in Morzine, France. These studs use excellent quality freshwater pearls set in handcrafted eco-silver cups. Pearls are available in 7mm (LARGE), 5mm (MEDIUM) and 3mm (SMALL) and the silver setting comes in black oxidised silver or polished silver. 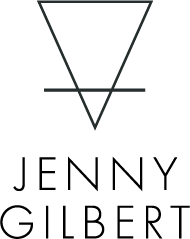 These earrings comes in a 100% recycled Jenny Gilbert Jewellery box.